In today's blog post I'd like to share my report on a gourmet break to a Victorian spa town in Mid Wales. 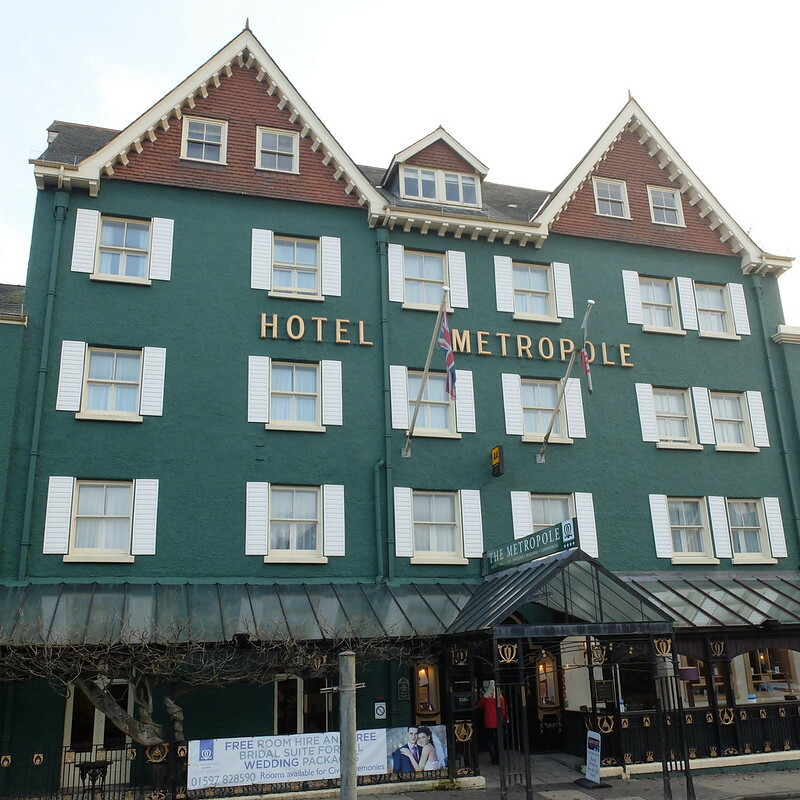 My husband and I stayed at the Metropole in Llandrindod Wells for a little pre-Valentine's treat. Well, you need all the adventures you can get in February, don't you? Llandrindod Wells is about 60 miles from us, on a route that takes us over the moors and into the Brecon Beacons National Park. 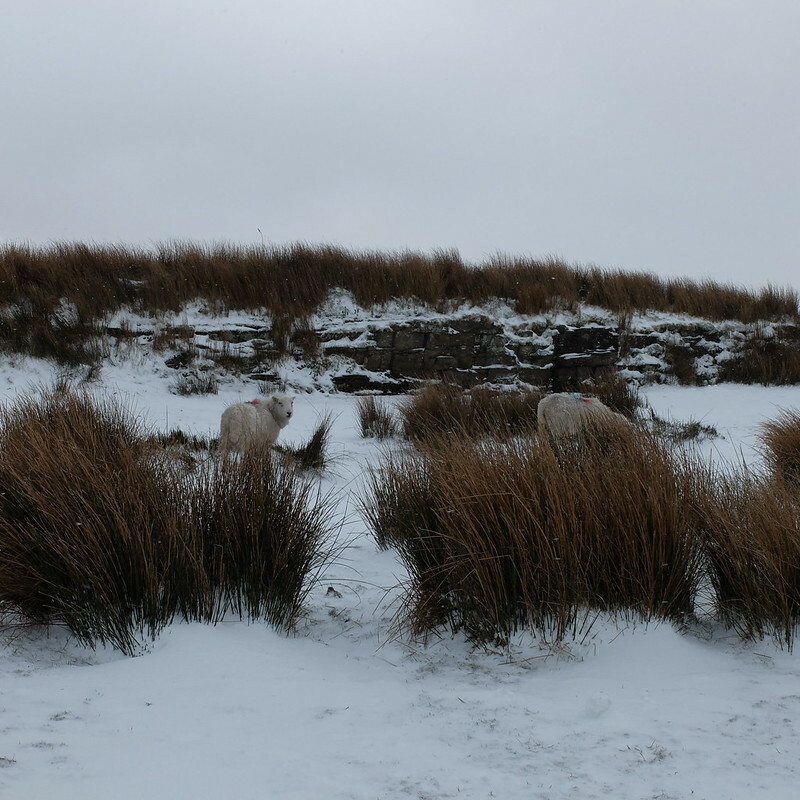 It's a lovely drive, but it was snowing as we crossed the moors, and I was praying it wouldn't stick too much so we could get to our destination! 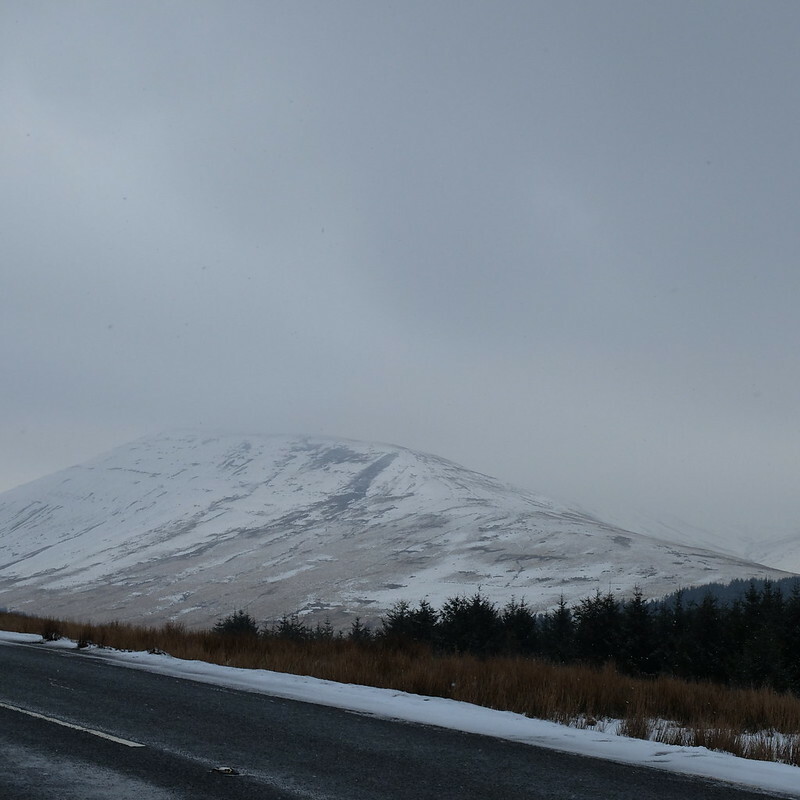 It was fine, and the snow eased up once we crossed through the spectacular Horseshoe Pass and down to Brecon. 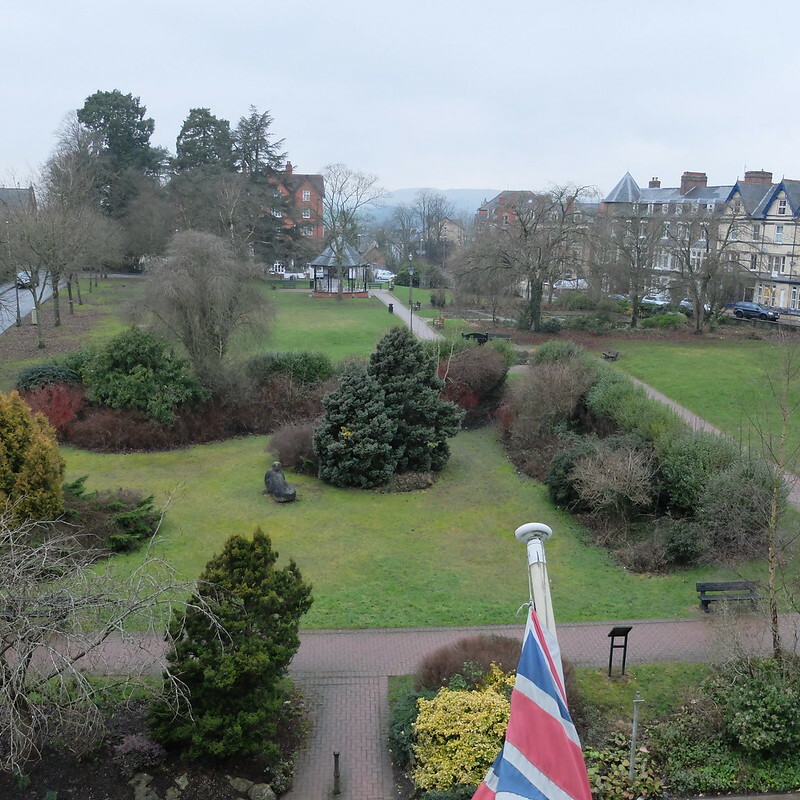 On arrival in Llandrindod, it was easy to find the hotel - its large green presence, with the towers at the back, stands proudly on a main street in the town. 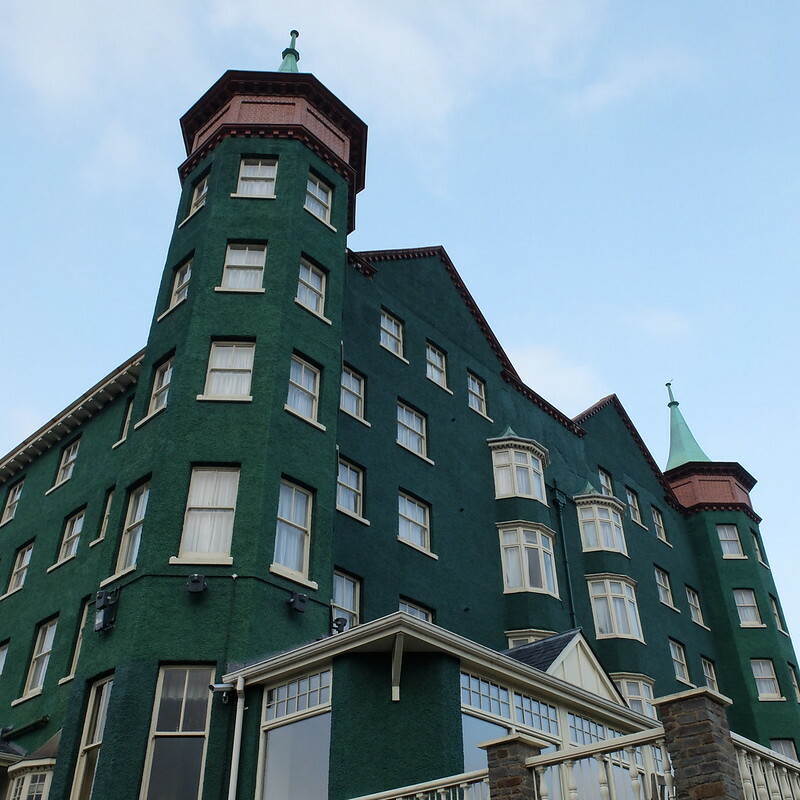 Originally built as 'The Bridge' in 1896, the hotel was renamed later on and only got its iconic green exterior in the '70s. It's a family run business, still owned by the same family that started it over a hundred years ago, which is rather impressive. There's ample free parking at the back, so it was a stress-free arrival and we were checked in swiftly by the pleasant receptionist. We were up on the third floor, overlooking the front of the hotel. There's a park opposite, so we had quite a nice view of that. 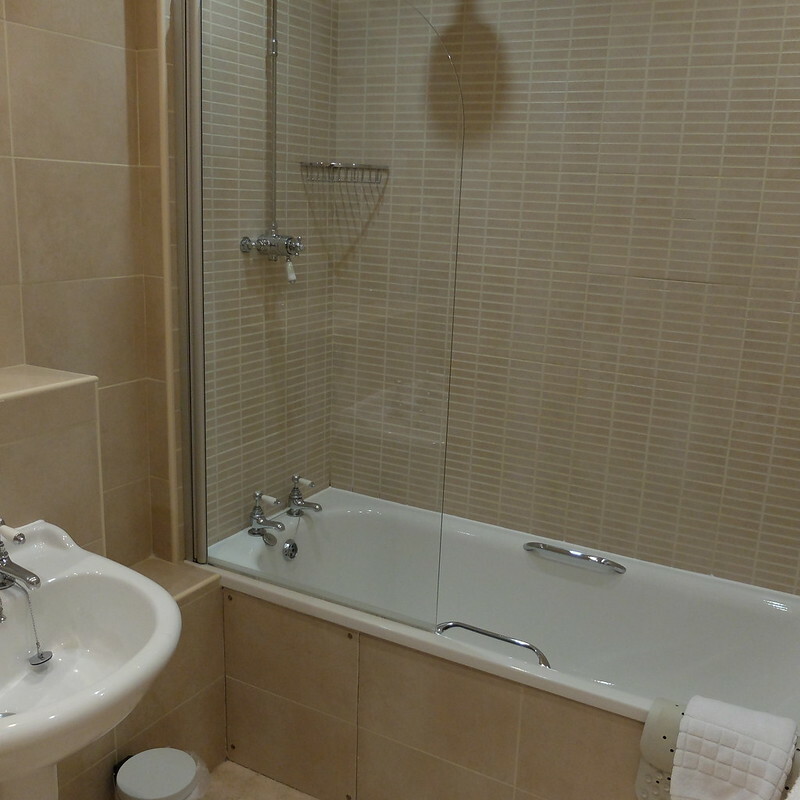 The room itself was quite small (perhaps some of the furniture was a little large), but had everything you need, including a rather nice new bathroom. 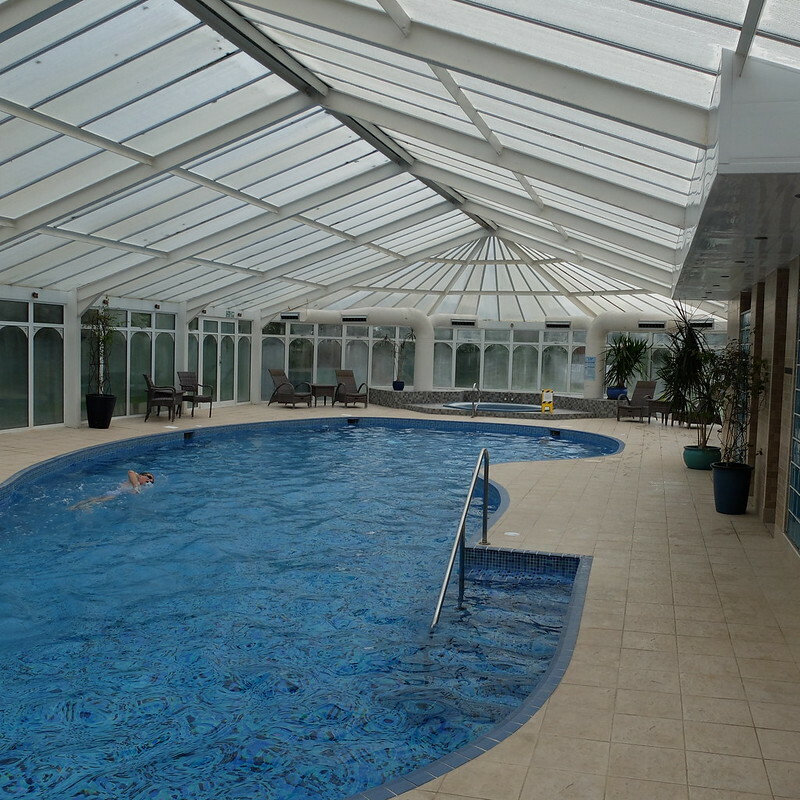 We took advantage of the leisure facilities and went for a swim in the lovely pool to work up an appetite, before adjourning to the bar for a pre-dinner cocktail. I was a tad disappointed with mine. I wondered why it was so cheap (£4.50) but it became apparent that it was because my Cosmopolitan was half the size you'd be served in any city bar, in a miniature glass packed full of ice, slices of lime, and a glace cherry! I've never seen that before. I'd rather pay twice the price, tip all of that clutter out, and have a proper stiff Cosmo. On we went to dinner. What a treat it was! We had a glass of champagne each, and then the six courses began, each efficiently delivered with a brief pause in between. There aren't dedicated wait-staff for each table, so at least six different people waited on us at some point in the evening. It was, efficient, as I said, but after our last course we seemed to be simply abandoned, with no sign of the coffee that the receptionist had said was served after dinner. The staff seemed to be busy preparing for breakfast, and we were left for some time with our last course plates in front of us, before we decided to forget the coffee and retire for the night. Nobody on the other tables seemed to get a coffee either, so maybe the receptionist was mistaken. That's nit-picking though, because the menu was wonderful, particularly that amazing dessert. Dark chocolate is my weakness! Breakfast the next day was very good also, you could tell that they'd bought quality bacon and sausage, always a good sign. What else to tell you? The interiors are done out in keeping with the age of the property, and I rather like the fact that it's not ultra-modern inside. The town itself has enough to keep you occupied - there's a Victorian park where the original 'Wells' is located, and a small high street with a few charity shops and independent stores. 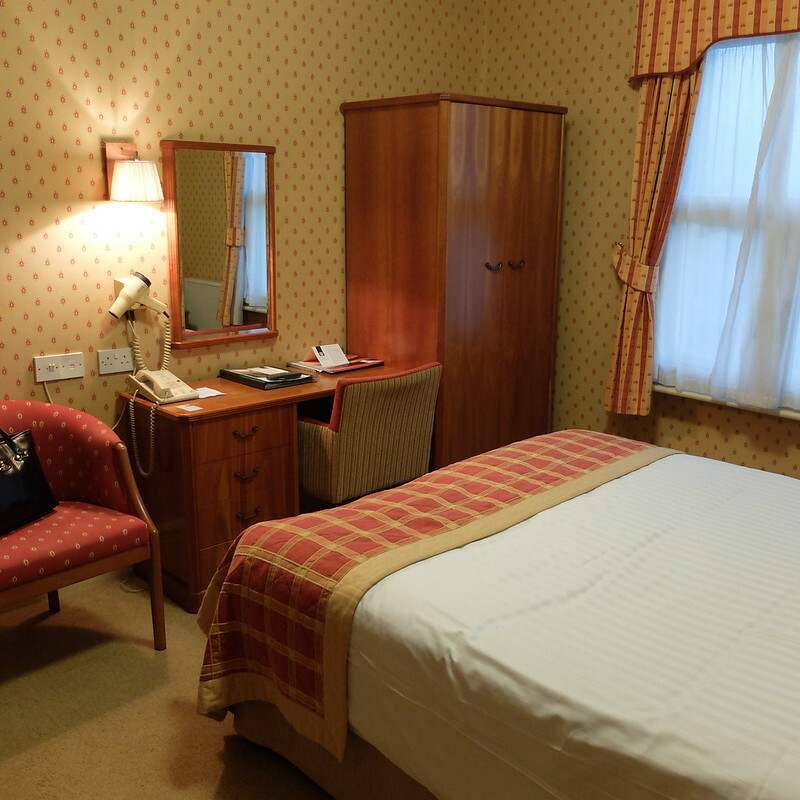 The location is also within easy reach of the Brecon Beacons, Powis Castle, and other attractions within Mid Wales. 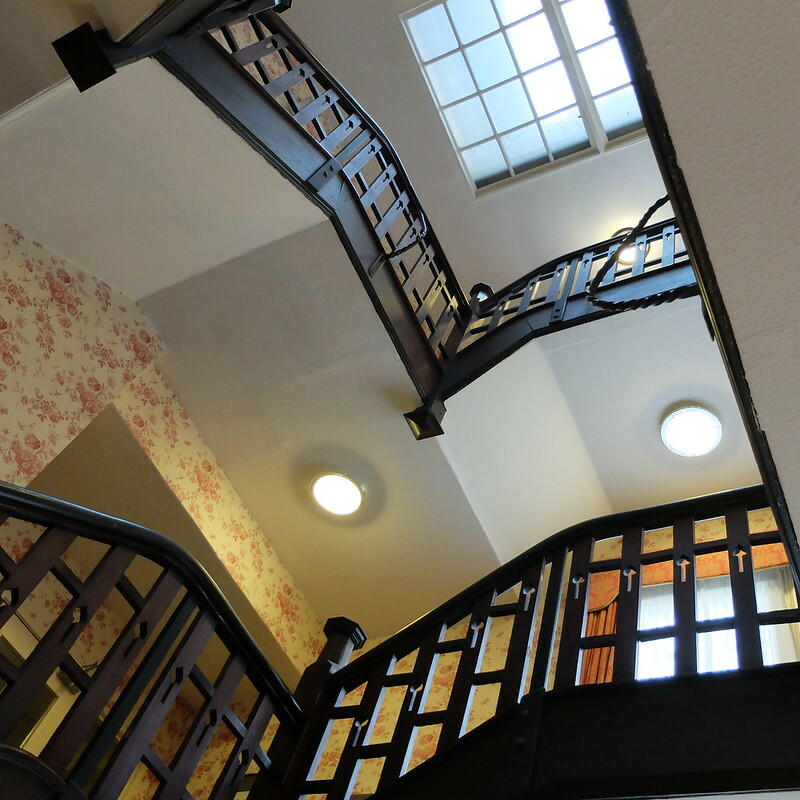 Being in a historic building, the hotel has lots of quirks and character that I personally really like, but I recognise that this would put off those who like their 5 star hotel chains where the quirks have been ironed out. It wasn't flawless, but it was charming, and can I tell you again about how good the food was? The deal we got was incredible value. 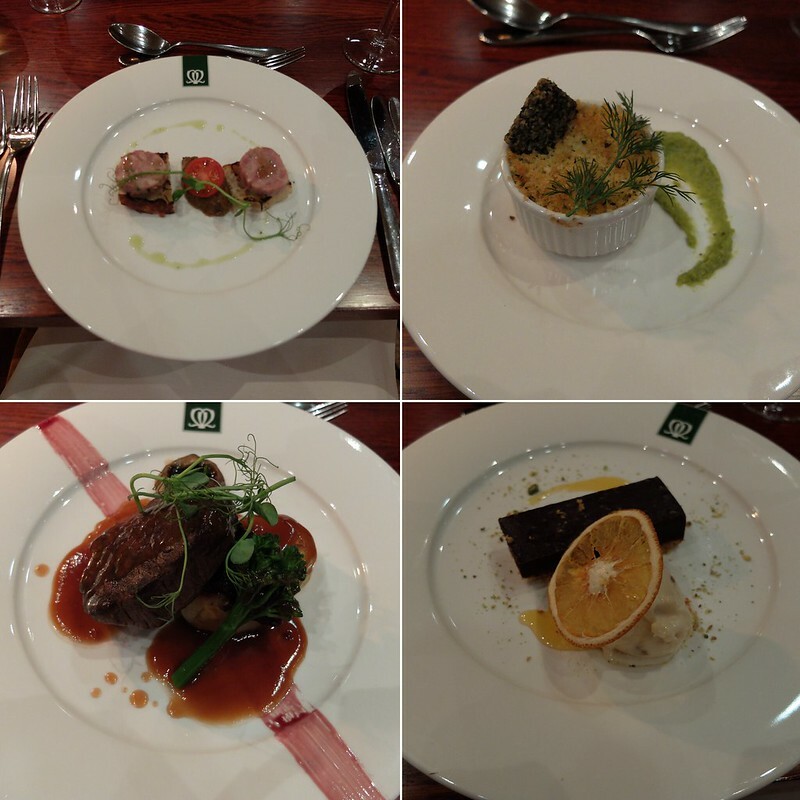 To dine at the restaurant on the tasting menu alone would cost £38.50 per person, so the fact that we had the meal, overnight accommodation, and breakfast for £99 (total, not each!) is really fantastic. Parking's free, wi-fi is free. What more could you want? Would we stay again? Yes! We stayed overnight at the Metropole in February, for £99 on the 'Gourmet Break' deal. That was a great price for everything you had! And it's lovely that the hotel is still in the same family - proper heritage. 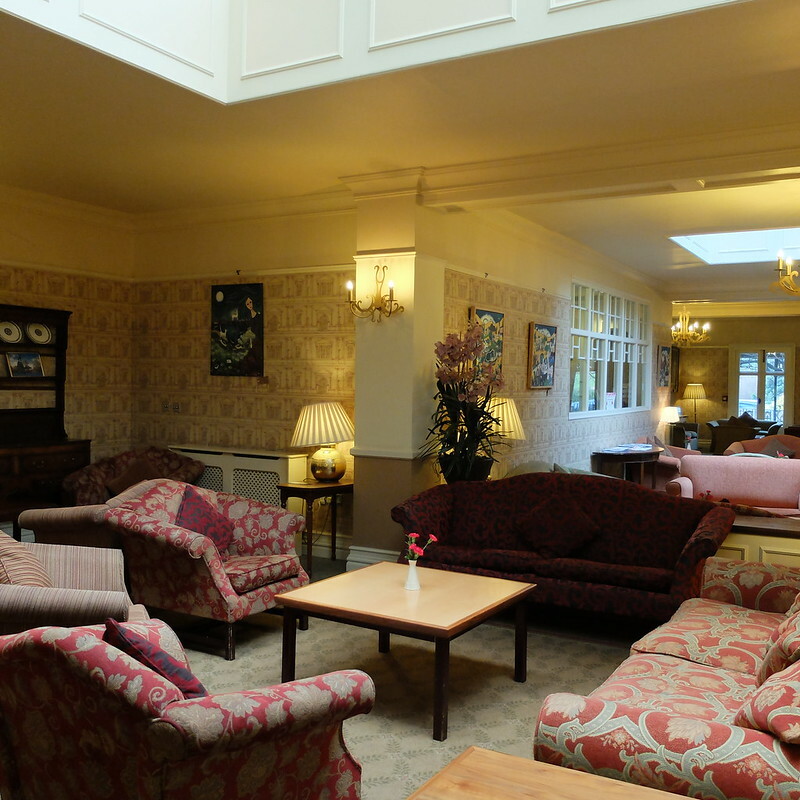 I'd always rather stay somewhere quirky and independent than a bland chain hotel. How do people know they're travelling when everywhere they stay is the same? It felt like it was worth more, I'm glad I've managed to convey that! Wow! Looks like fun. And look at that wallpaper! So cute! I think I took about ten photos of the wallpaper, home decor inspiration!! Two things - this place looks amazing, but seriously how TF do you say the name? Welsh. What the hell. But seriously, how gorgeous! I hope you did a good outfit shoot here as well. That's one of the more pronouncable ones, at least it has enough vowels!! Machynlleth. That's the real tester. What great value for money! I love the look of your hotel, I don't get people who want to stay in some bland greige box when you can have quirk and character. I prefer hotels like that, not ultra-modern and that amazing dinner, swimming pool, cosy accomodation, breakfast, parking and wifi for 99 pounds all? For two people? That is a must! I loved the pictures and as Wales is my favourite country in the world, I will try to go to Llandrindod Wells - The metrolope soon. The Valleys are always in my heart, and I love reading about it here! Hope you have a lovely day! Sounds like it was a fantastic stay and such a really great deal! 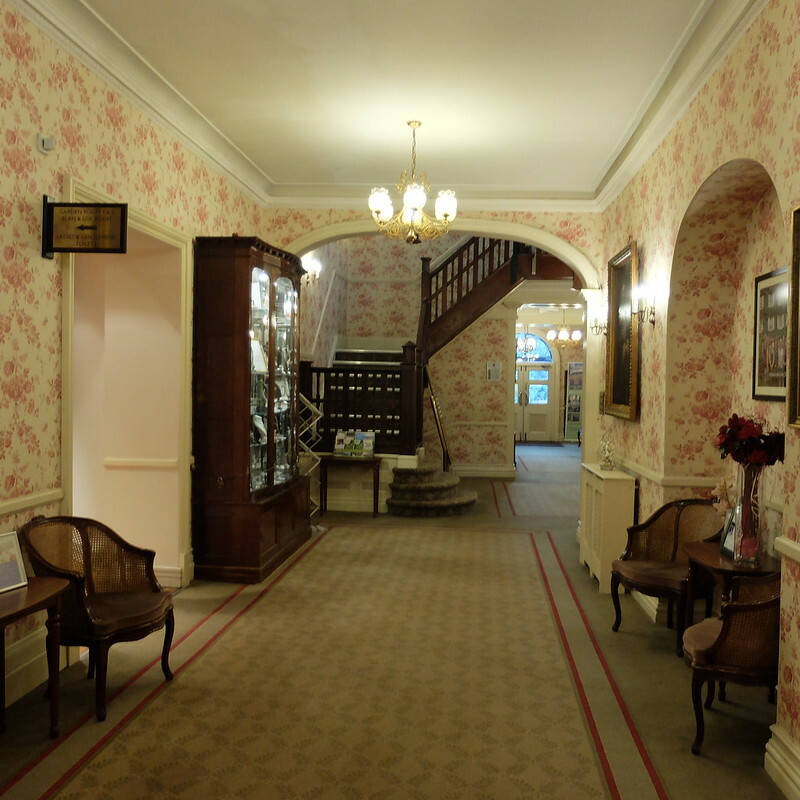 The hotel looks as charming as you describe and your journey there sounds like a wonderful adventure all on its own. I do wonder if the receptionist was wrong about the coffee though as it seems very strange that they would bring the dessert without the coffee and that they would have just dropped the ball like that after being so attentive before.